US Mail Supply specializes in USPS approved and private use mailboxes for houses, condos, apartments, schools and businesses throughout Pennsylvania and all of the United States. We source quality, American-made mailboxes built with steel and aluminum to withstand inclement weather and keep both mail and belongings secure. 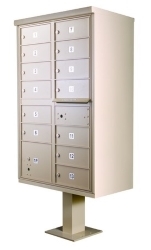 Shop our selection of horizontal mailboxes and pedestal mailboxes for indoor and outdoor placement at businesses, institutions and multi-unit buildings of all types. We have virtually every type of mailbox imaginable, most with customization options. 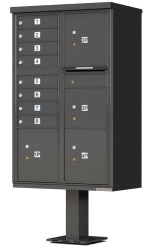 Featuring heavy-duty construction and easy installation, our wall mounted and pedestal mounted 4C mailboxes are both durable and secure. 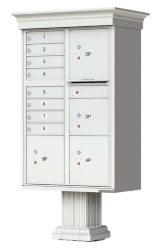 Choose from USPS horizontal mailboxes and 4C pedestal mailboxes or private use only mailboxes. The U.S. Postal Service regulations on mailboxes include specific box sizes, locations, mail slot dimensions & identification information. You can trust that all USPS approved mailboxes sold by US Mail Supply conform with all U.S. Postal Service standards. 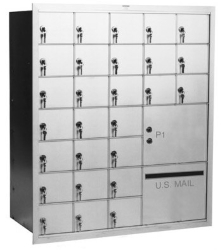 US Mail Supply offers a wide range of mailbox options for apartments and multi-tenant buildings, from basic pedestal mailboxes to decorative ones. Available in a range of durable finishes and with options to include a larger space for securing packages. 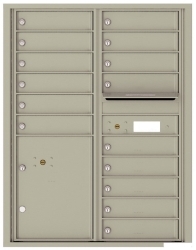 From utilitarian pedestal mount mailboxes to more decorativt Victorian style mailboxes, US Mail Supply has a wide range of outdoor mailbox options—both USPS approved and for private use only. 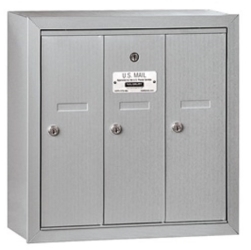 US Mail Supply offers a huge selection of indoor mailboxes for residential and commercial use-- horizontal and vertical mounted, recess or wall mounted, with front and rear loading options available. You can go for a cheap mailbox from your local big box store, but you’ll likely end up having to replace it in a couple years. Spare yourself the headaches and the hassles by getting a durable mailbox from U.S. Mail Supply. 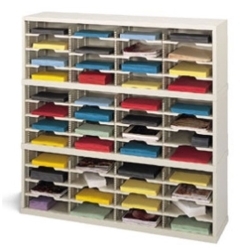 Mail sorters are not only useful for their intended use in mail rooms, they’re also a great organizational tools for offices, classrooms and institutions of all types. U.S. Mail Supply has both open and closed back mail sorters, plus HIPAA-compliant models. No matter what type of mailbox configuration you need, wall mounted or pedestal mounted, we have what you need and we ship quickly. Browse our inventory, and feel free to contact us online or by phone if you have any questions. Barring a major natural disaster or other calamity, a mailbox should be a once in lifetime purchase. This is why U.S. Mail Supply only carries quality mailboxes built with steel and aluminum. 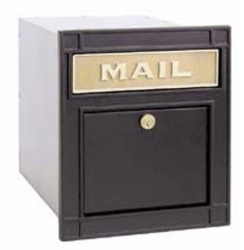 From large pedestal mounted mailboxes for outdoor use to small mail boxes for indoor use, the mailboxes we carry are built to survive years of daily use. To help determine the best horizontal indoor mailbox for your space, we have an online questionnaire to hone in on the mailbox size, color and configuration that will work best for you. The links below walk you through everything we need to know to recommend the best configuration for you. After you submit your responses, we will get back to you with a rendering of how your mailboxes will look, along with a quote.